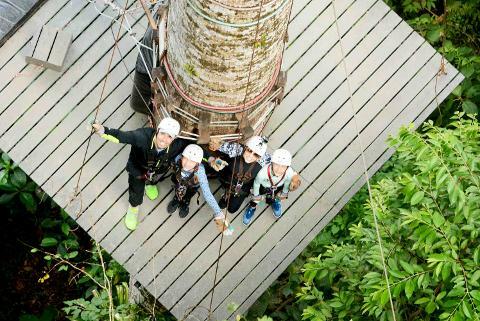 the Costa Rican rainforest. 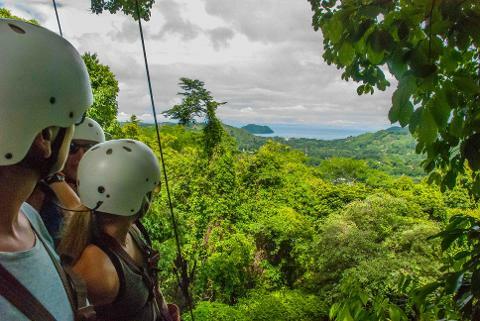 You will get to experience the rainforest from a birds eye’s view and also go deep in the dirt paths, farms, and rivers in a transitional Central Pacific forest. 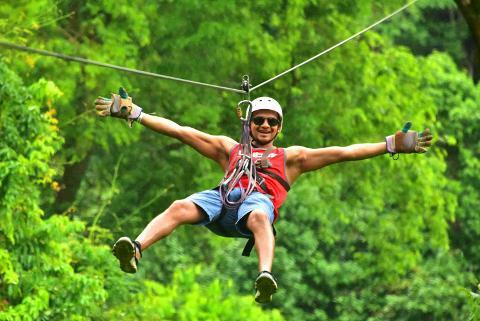 You will first start with the 2-hour zip line at the canopy of the rainforest. 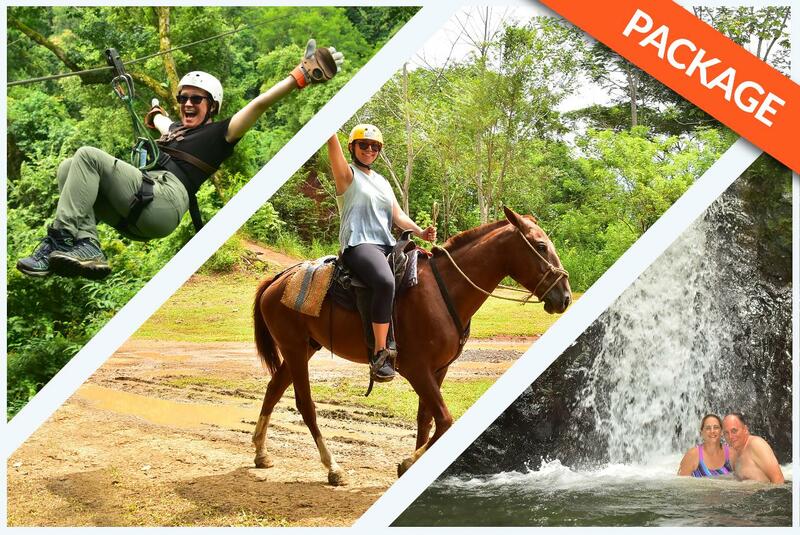 This adventure includes a 15-minute tractor ride up to the top of the mountain; you will then descend on a series of 12 platforms and 10 cables, including one of the longest in Costa Rica’s Central Pacific. 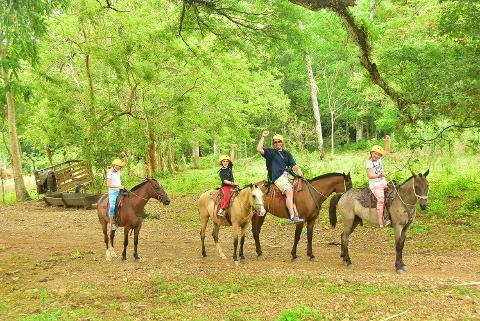 After the Zip Line it’s time to get on some horses! We have the best kept horses in the area and once you get geared up and paired with your best friend for the next hours, it’s time to head for the mountains. 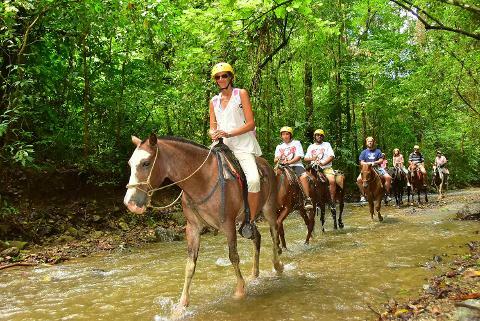 You will ride for about 45 minutes to the top of the mountain, and then hike down to the waterfalls and natural swimming pools, your guide will have cold water for you. 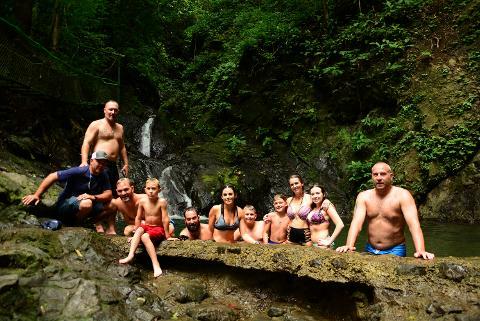 You will have about 30 minutes to enjoy swimming in a totally natural environment, before we return to base, where we will greet you with fresh tropical fruits.